Simon Wright has over 30 years’ experience of patent work, including drafting and filing patent applications throughout the world – in particular, before the European Patent Office (EPO). He handles prosecutions, as well as opposition and appeal work, primarily in the life sciences field. Mr Wright’s technical work covers vaccines, pharmaceuticals, fermentation technology, pharmaceutical and nutritional uses of polyunsaturated fatty acids, astaxanthin and vitamin B12 and greentech (eco-friendly algae plant technology). He also handles cases on gene therapy, personalised nutrition, biofuels, liposome technology, cancer biomarkers, micro-arrays, stem cells, in vitro fertilisation and CRISPR technology. Mr Wright’s clients range from US multinational companies to small UK academic organisations and small and medium-sized enterprises. He has been involved in oppositions and appeals concerning human pheromones, Hoffman-La Roche’s polymerised chain reaction patents, ultrasound contrast agents, medical devices (for measuring glucose levels), nutritional uses of arachidonic acid, vaccines and anti-prolactin agents. Mr Wright was involved in the seminal EPO Board of Appeal Decision T820/92 concerning contraceptive methods involving the administration of luteinising hormone-releasing hormone to women. He also acted as an expert witness and gave evidence to the English High Court in HGS v Eli Lilly, which led to the first ever Supreme Court decision on a patent matter (concerning industrial applicability). Mr Wright is a council member for both the Chartered Institute of Patent Agents (CIPA) and the Institute of Professional Representatives before the EPO (epi). He is one of two UK members of the epi governing council and a member of the Standing Advisory Committee before the EPO. He chairs the CIPA Life Sciences Committee, which organises an annual conference in late November. Mr Wright is secretary of the epi Biotech Committee; this gives him a valuable insight into future legislative and practice changes, in particular before the EPO, and the opportunity to influence future legislation. 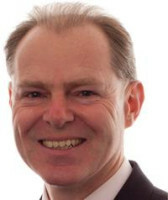 Mr Wright joined J A Kemp in 1994, after working in private practice elsewhere since 1986, and became a partner in 1999.